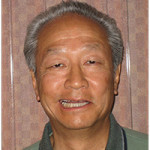 Dr. Mark Yamamoto, D.D.S., M.A.G.D. Thumbsucking by young children for long periods of time, cause changes to the palate, the nasal septum, and results in an anterior open bite. The resulting high palate causes a lifetime of breathing difficulty. The anterior open bite leads to tongue-thrusting. A high percentage of children with tongue-thrusts have the habit for life. There is also speech difficulty associated with the anterior open bite. (1) Even when treated with orthodontics, anterior open bite may relapse if no orofacial myofuncional therapy is done. (2) It should be noted here that extended use of a pacifier often has similar results. The anterior open bite patients may go for decades with no TMD problems, but they are more susceptible to TMD due to the lack of protrusive and lateral disclusion. 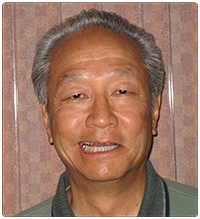 I have treated anterior open bite TMD patients with worn condyles who are in their seventies. The flattened condyles are a result of years of function with no anterior guidance. This is seen in the i-CAT CONE BEAM CT scans. They had little discomfort until they were traumatized by slip and fall injuries or automobile accidents. The treatment is the same as patients who don’t have an open bite, but do have some form of malocclusion. Make Centric Occlusion (MIP) and Centric Relation coincide in a solid centric with no rocking or sliding. (Create anterior guidance with Protrusive and Lateral Disclusion. (3) The occlusal correction reduces the anterior open bite slightly. Then the teeth can be coupled operatively. Often the anterior contact is created with composite on the lingual surfaces of teeth #6 and #11 for lateral and on the lingual surfaces of #8 and #9 for Protrusive Disclusion. (4) If the central incisors are too far apart to make protrusive contact, it can be created with composite on the distal of the upper cuspids and the mesial slopes of the lower 1st bicuspids. The first set of Mounted Diagnostic Casts are left untouched as the “before.” The second set of Centric Relation mounted Diagnostic Casts are used to analyze the bite and do any occlusal correction and addition of composite to arrive at the ideal occlusion. The corrected diagnostic casts are used for a treatment plan and case presentation for the patient. It is done in the form of a “Keynote” presentation on a laptop. Each patient is shown a movie of the articulator with his or her condyles displacing. Then it shows a step-by-step bite adjustment and the addition of composite. If the patient agrees to the procedures, this is “informed consent.” The occlusal correction is done in three separate appointments. This allows the condyles and the muscles to heal and re-align. (5) Then any addition of composite can be done. For some large open bites, a small amount of composited can be added to the palatal cusp of the upper 1st bicuspids. This greatly increases the occlusal stability.